In 1913, when a record level of 5.5 million tons of coal, coke and patent fuel were exported through Swansea Docks, the port had 32 coal-shipping appliances, or ‘hoists’, in operation. 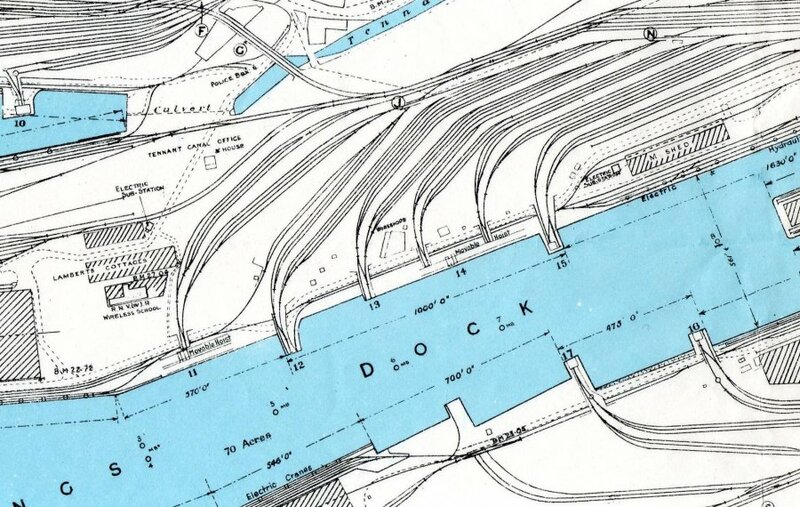 There were five in the North Dock, eleven in the South Dock, nine in the Prince of Wales Dock, and seven in the Kings Dock, all rail-served and operated by hydraulic pressure. 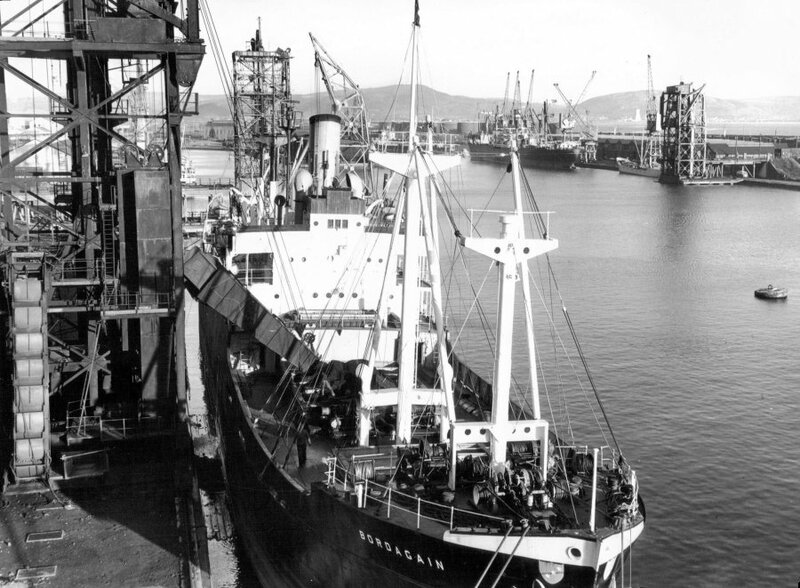 As coal exports declined over the following decades a reduction in the number of coal-shipping appliances at Swansea was inevitable, and the last of the coal hoists in the North Dock were scrapped prior to the dock's closure in 1930. The last two South Dock coal hoists were scrapped in the 1950’s, as were the two remaining on the south side of Kings Dock. The six remaining coal hoists in the Prince of Wales Dock were scrapped in 1966. Of the five remaining coal hoists on the north side of Kings Dock, No.11 was scrapped in 1973; Nos.14 and 15 in 1984, and finally Nos.12 and 13 in 1987. The last vessel to load coal at a Swansea coal hoist was the m.v. ‘Paquita’ which loaded 520 tonnes for Cork at No.12 hoist on the 25th February 1987. When the Kings Dock was constructed (1904-1909) several of the dock's new coal hoists were built by Tannett and Walker, a well-known Leeds engineering company, and these were the Rolls Royce of coal hoists. Of typical Edwardian construction, robust and mechanically innovative, they were built to last and were to complete seventy years of service. The lifting and tipping operations were ram and wire rope operated, with the capstans and chute engines of ingenious rotary three cylinder construction. The hoists were erected under the direction of Yorkshire engineer Mr. Charlesworth, who remained in Swansea to supervise their maintenance and was thereafter known as "Yorkie". He was the father of Jack and Stan Charlesworth who both served in the Engineering Department at Swansea Docks with distinction for many years. Most coal hoists were fixed, but No.11 & No.14 were 'traverser' hoists that could be moved to different positions along their respective wharves, although No.11hoist had been static for many years. No.14 hoist had two approach roads which, from either one, coal wagons would be fed onto an electric 'traverser' and transported to the hoist, whatever its position on the wharf. No.14 hoist could also work in tandem with No.13 hoist, allowing both appliances to load one ship at the same time.